Case: 41 mm in diameter. Polished steel. Steel bezel with anodised blue aluminium ring and 60-minute scale. Screw-down crown and push-buttons. Sapphire case-back. 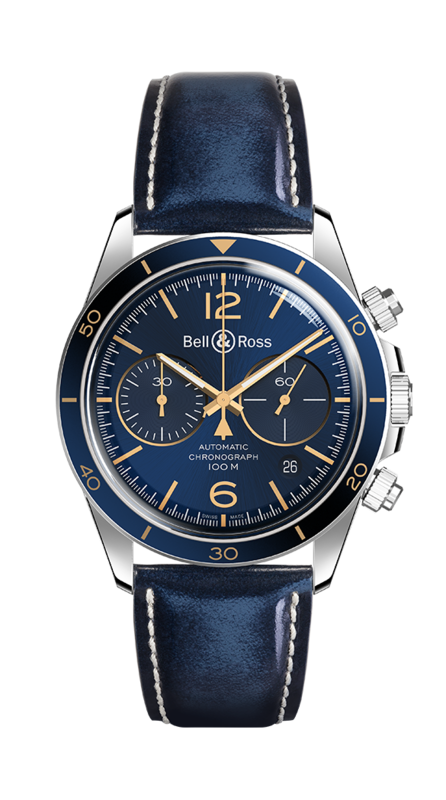 Strap: satin-polished steel or ice blue calfskin.